The goal of any vehicle scale service program should be to ensure that equipment stays in working order, with minimal downtime between service visits or the life of the product. The losses to revenue due to a scale failure can exceed the cost of maintenance. Adopting a comprehensive preventive maintenance program ultimately saves money over the long run. Owners should opt for a program with the level that fit their specific needs. The highest level may include parts, service visits and calibrations. For those facing little exposure to significant repairs, a basic option covering only calibrations may be the best fit. A general service visit is typically more specific in nature – a “tool in hand” service. Preventative maintenance includes this type of service, but also includes more interaction with a customer to understand the business and the role the equipment plays in it. Along with upkeep of equipment, preventative maintenance servicing takes into account such factors as heavy use periods, the value of supplying bench stock on difficult to acquire parts (so as to limit downtime), as well as strategies for repair if a breakdown occurs. In other words, preventative maintenance is a more holistic approach to service. It does not just look at the customer’s equipment in isolation from the operation, but sees the wider picture, including how the proper and efficient operation of the equipment (as well as breakdowns) affects the customers’ business. One final way of looking at the difference: General servicing puts out fires. Preventative maintenance servicing prevents them. In effect, a scale is a company’s cash register. Preventative scale maintenance directly equates to bottom line dollars. Neglecting to account for the longevity of equipment can result in significant future repairs. Problems generally do not stay static or improve over time – they usually get worse. When a small issue morphs into a significant problem, wholesale repairs must be performed. These are often not budgeted for, so they result in unanticipated downtime, which often comes at a critical time. Downtime can be minimized or eliminated almost entirely by doing proper preventative service. In one case Fairbanks Scales recently worked on, a scale experienced significant structural damage due to rusting of critical components, resulting in the need for a $38,000 full rebuild. This customer had not regularly check his scale; had maintenance visits been performed, the issue would have been caught and small repairs could have been completed. There are two major types of service programs: open-end and closed-end. Open-end service is the type most often provided in the industrial weighing service industry. Service is paid for as required, also known as “pay as you go.” The service may consist of periodic inspections that are pre-scheduled to specific needs and requirements. It is called open-end because there is no limit to the total cost of repairs. When service is required, the customer contacts the service provider, the service provider requests a purchase order (as promise for payment for services) and, when satisfied with financial arrangements, the service provider sends a technician to make the repairs. Once the service company determines the nature of the damage or failure, they may either give the customer an estimate for the total cost of the complete repair or repair the scale with the final cost of repairs unknown. An advantage of open-end service is that actual service costs may not exceed the amount budgeted. Some scales have a history of near-perfect performance and the need to cover any risks that may occur can outweigh the concern about unscheduled costs. On the negative side, a disadvantage of open-end service is that it is impossible to know what the costs will be. 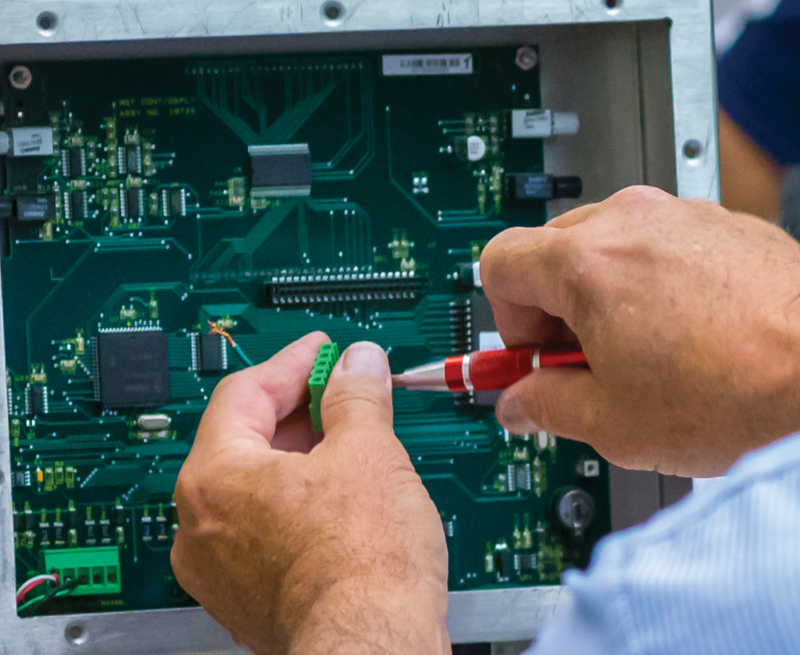 Although it may be possible to know the cost of scheduled calibrations, it is impossible to predict component failures. It is also impossible to prevent failure unless the cause is apparent at the time of an inspection. When there is a failure, policies and processes (work order requisitions, approvals, and purchase orders) may delay getting the equipment serviced. Open-end service can increase downtime, as service providers may have to check credit history for past-due service payments or other problems. Another disadvantage is that parts and service repairs are typically warranted for a period of 90 days, so repeat failures could be financially catastrophic. Customers often postpone service for known problems with their scale because they do not want to spend the money during financially slow periods. This may result in additional failures, making the repair even more expensive. To make matters worse, these decisions are often made without a complete understanding of the financial impact an inaccurate scale can have. The losses due to a failure can exceed the cost of maintenance, but because they are not seen on an invoice, these actual costs are often ignored. Closed-end service plans are far less common in the industrial weighing market. They involve a fixed price for an annual agreement period. With a closed-end service plan, extra costs above the service contract amount are borne by the scale service provider. Large service providers are better able to take this risk, so this service plan type is less available with smaller scale companies. 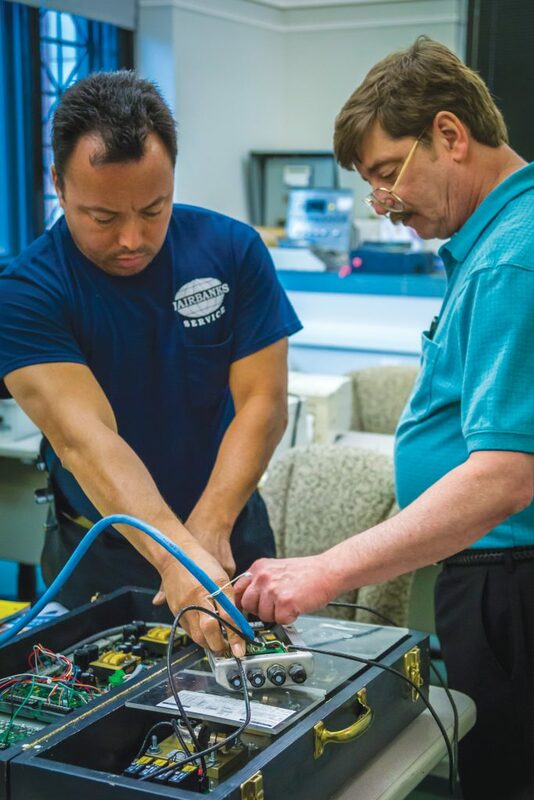 With a closed-end service plan, when service is required, it can be ordered without purchase order, requisition, or approvals, so a technician can be on site quickly. This is the fastest, simplest way to initiate service. The greatest benefit of a closed-end service agreement is reduced risk for the customer. Much like insurance, closed-end service agreements cover the cost of most failures. This allows the customer to spend less time making arrangements between purchasing and management when service is needed. It also builds a better relationship between the service provider and the end user of the scale because the service process is less cumbersome. Closed-end service can be tailored to provide various levels of service so coverage is customized to the customer’s preferred risk level. Technology has made closed-end service even more attractive. Some companies provide wireless monitoring of weighing system electronics’ accuracy, giving the service provider warning that proactive service repairs are required. Scale owners may receive notification on their smartphone that there is a scale error, but do not even need to call anyone because the service company has already dispatched a technician to fix the error. In addition, because scale owners can choose monthly, quarterly, or annual charges for the service, a closed-end agreement may also help scale owners budget for maintenance costs more accurately. There are few disadvantages of closed-end service. It would not work well for a service provider with limited resources, because the risk can be extreme and requires the company to have many closed-end service accounts in order to survive the bad scale scenario. For example, the Fairbanks Scales Guardian Service Plan is a “no surprises” service program with multiple levels to fit specific customer needs. The highest level of Guardian Service can be all-encompassing to include parts, service visits and calibrations. Customers with little exposure to significant repairs might choose a more basic option just covering calibrations. Revenue losses due to a scale failure can exceed the cost of maintenance. Preventive maintenance ends up saving in the long run.